CCleaner (Crap Cleaner) is a tool I frequently use to do some routine system tweaking. Then I immediately uninstall it. Because it installs real-time monitoring applets that rob your computer of it’s full performance. It’s a handy utility, as it saves me a lot of time. I could do everything it does by hand, but it would take a LOT longer. BUT – I frequently have to manually clear obsolete registry entries by hand even AFTER CCleaner has completed its tasks. It’s not anywhere near 100% effective, but saves time is my point. NOW we find out two versions of CCleaner were hacked in the womb, so to speak. Hackers cracked the Piriform distribution servers and inserted malicious code in the downloadable files for CCleaner. 2.3 million people were infected by this attack. 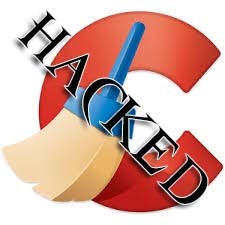 Avast / Piriform both confirmed the Windows 32-bit version of CCleaner v5.33.6162 and CCleaner Cloud v1.07.3191 were modified by the malware. If you downloaded CCleaner from Piriform’s site (recently acquired by Avast) between August 15 and September 12 of this year – then your computer has been infected. Additional information: is the process running with admin privileges and is it a 64-bit system. Perform a full virus scan, preferably with Bitdefender Endpoint Security.